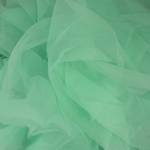 Sew Sassy Fabrics offers our #NC310 Nylon Chiffon Fabric wholesale with minimum 20 yard put ups. For smaller quantities, you can order retail at Nylon Chiffon Fabric. Enter your quoted price and select the number of yards. Minimum 20 yard put ups and additional yards in 5 yard increments. Cuts less than 20 yards are retail.